Over-the-Rhine Museum is excited to invite you to be a part of our story series, Three Acts in Over-the-Rhine. Through this series we build relationships with individuals, businesses and organizations that are located in the ever-changing Over-the-Rhine neighborhood. First launched in July 2015, this guest story series brings in local historians, advocates, and residents of Over-the-Rhine who each briefly discuss a selected theme, topic, or era—an “act”—related to the neighborhood’s history. Three presenters are invited to discuss research or first-hand accounts related to a theme in relation to Over-the-Rhine for about 15 minutes each. 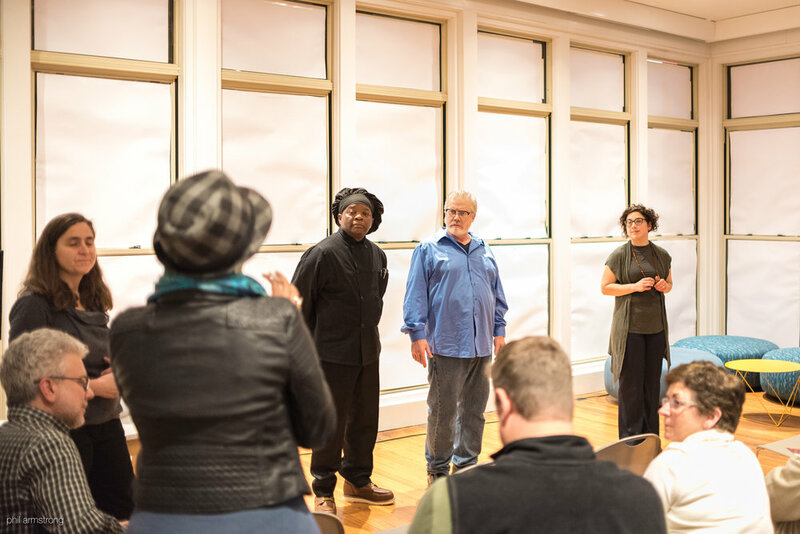 The goal is to make those in attendance think about Over-the-Rhine, encouraging them to engage their surroundings more fully and discover that these stories are part of the evolving fabric of the neighborhood. Each event attracted around 75 attendants and served as valuable fundraising opportunity for the new Over-the-Rhine Museum.